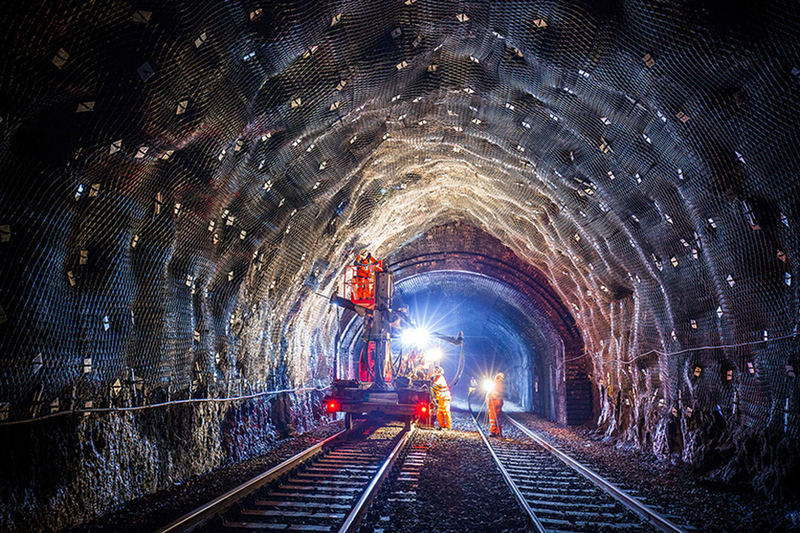 Fairhurst were commissioned to complete the design and specification of remedial works within an unlined section of a tunnel carrying the main Edinburgh to Perth and Glasgow to Stirling railway lines. The works aimed to reduce the risk to the railway track and comprised rock netting and rock reinforcement dowels. Fairhurst were appointed to carry out all civil and structural engineering design associated with the project and monitor installation of the works during the construction phase. The first stage of the commission was to produce a Form 001 (Approval in Principle) design for acceptance by Network Rail. 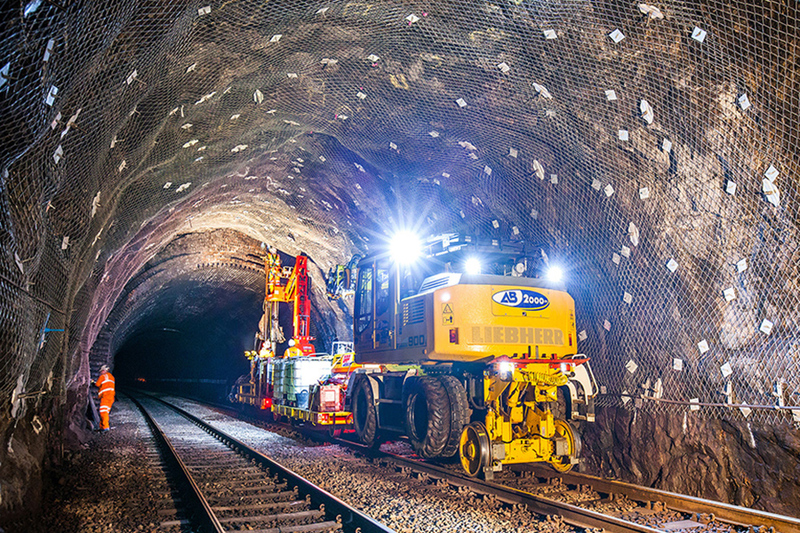 Fairhurst Engineering Geologists carried out visual inspections of the unlined rock tunnel bore to collect block size and discontinuity orientation data. Based on the discontinuity spacing and recognised potential failures, and taking into account significant water ingress in the tunnel bore, a high tensile rock netting solution was selected. The netting was fixed with a close pattern of stainless steel rock dowels to profile the material to the walls and brown of the tunnel. Additional rock reinforcement dowels were proposed for larger masses. Fairhurst also carried out an in-house topographic survey. Detailed design followed acceptance of the Form 001 proposals, with the mesh capacity and dowel pattern and length being confirmed through calculation, in line with the codes of practice for ground anchorages. Fairhurst then provided technical input during construction.